When a small early stage business looking to serve its local community cannot tap into the commercial bank loan market and can't meet the financial return expectations of venture capitalist who operate in the Wall Street paradigm, the funding alternatives are few. The Direct Public Offering offers a a way for those businesses to tap into values-aligned small investors in their own communities. Jenny Kassan talks about how the Direct Public Offering connects small investors with enterprise leaders in their communities who share their values. Oakland-based Cutting Edge Capital advises companies on their Direct Public Offerings [see box on this page for a description]. Cutting Edge's CuttingEdgeX, a partnership with the social network Hylo, is a platform that connects investors with DPO opportunities. As attorney Jenny Kassan, CEO of both Cutting Edge Capital and CuttingEdgeX, explains here, if properly designed and executed, DPOs offer a way for both accredited and non-accredited investors to partner with enterprise leaders in the creation of businesses that express their shared values. Why is a DPO sometimes considered a better fund raising technique for a small company than conventional private equity? Traditionally a small company might have to sell private equity in such a way that they would be under pressure to get acquired by a larger business or do an IPO. The DPO can be designed to get rid of that pressure. The DPO can be offered to anyone and be advertised to the public. Why did you create the CuttingEdgeX DPO platform? We had been working with a lot of different clients on direct public offerings and the challenge was this is not a well-known tool and our clients were having difficulty connecting with investors. We thought if we had a one-stop shop for direct public offerings it would help our clients and others to be seen as part of a larger trend, and people could start to think, “if I go to this website I can invest in more than one DPO and create some diversity in my holdings.” It is our hope to build up to hundreds of listing from all over the country. How can investor and enterprise needs and expectations be best aligned with a DPO? If you are a company seeking equity but are not prepared to offer a dividend and the only way the investor can make money is to sell stock there is huge pressure from investors to sell the company. But there are ways to structure a DPO to avoid those pressures and create healthier relationships between investor and company. 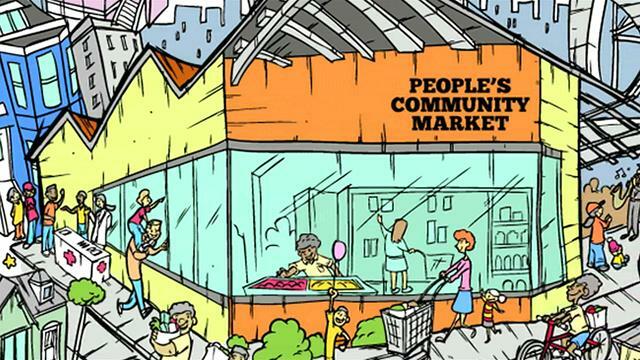 For example, Oakland, CA-based People’s Community Market and Greenfield, MA-based Real Pickles have both sold preferred stock that paid a dividend (cumulative in the case of PCM) to investors with the possibility of purchasing it back at the same price paid for it. We have one client who has offered to buy back their shares at the original purchase price and they target an annual 5 percent dividend. But because they always hit the target people have been keeping their money in it perpetually and some have even reinvested to buy more stock. Cutting Edge Capital used a revenue-sharing structure for our own DPO. There has been a lot of talk about revenue-based securities but there haven’t been a lot of them done, so we wanted to test the structure before recommending it to our clients. We had to take some time to make sure we understood the tax treatment and other implications of offering a revenue-share agreement that is neither equity nor debt. This is definitely an attractive model for a lot of companies. Unlike debt you don’t promise the principle back, and unlike equity your investors don’t have ownership or voting rights. And you can be creative in how you structure it. You can base the payments to investors on gross revenue or net revenue, and you can change the payout based on achieving certain milestones. It is pretty flexible. Our clients are doing more creative kinds of investment structures than you would see in an angel deal. We collect term sheets and ideas for creative tools and work hard to understand their tax and accounting implications. So we can have a lot of different options for our clients in our tool bag when we help them decide what to offer. We don’t like to shove our clients into a cookie cutter approach. We often assume that it is more often high net worth investors who are willing to take a financial “haircut” in return for social or environmental “returns,” and not so much the average investor, who conventional wisdom holds is more likely to be concerned about saving for retirement or college educations. You seem to report a different experience. Because our clients are selling investments to the general public it is an interesting and different relationship. When you are targeting wealthy, sophisticated investors their expectations are often unreasonable in terms of return and rate of growth and exits, whereas the general public has more reasonable expectations. An unaccredited investor is not unhappy earning 3 to 5 percent, while a high net worth individual may want more. A lot of people who invest in DPOs seem to understand if you get a high rate of return you are taking resources from someone else, away from the employees or suppliers or making it difficult for the company to do the right thing in terms of environmental stewardship. So the idea is let’s try to get all stakeholders to benefit, not just investors. Who is a typical DPO investor? What businesses make the best DPO candidates? So far all of our clients have been socially responsible businesses. They are likely to have more success with a DPO because people want to invest in their community and environment. We define socially responsible broadly; it can be any business that cares about its community, its employees, and the planet, as well as financial returns. The businesses we have worked with so far include an organic food delivery service, a really high quality grocery store built in a food desert in Oakland, an organic pickle producer, a store designed to keep money local in a small community in Washington, a solar energy developer, and a restaurant that is designed to be worker owned. They are all focused on socially responsible values and goals. What should investors be wary of when considering a DPO investment? Of course they must keep in mind that there can always be failures in the DPO market. Many of these companies are startups and there are always higher risks associated with them. We try to create an investment where the investor has a good chance of getting a return and getting the money back out. The minimum investment can be quite small for a DPO, typically anywhere from $100 to $2,500. It is obviously up to each person to decide if it is something they can risk and they shouldn’t put money into a DPO if they are not willing to risk losing it. But any investment can be risky, even supposedly tried-and-true mutual funds have halved in value. In some cases a DPO can be less risky if you know the founder of the company and it is in your community, and it is a place you patronize, or plan to patronize. When you can have a personal connection with a company you invest in, it may be less risky than if you were to hand your money over to a fund manager. Paul Harlow of Westminster, VT, supplies to REAL PICKLES, which recently raised funds through a Direct Public Offering. Photograph of Paul Harlow by Trav Williams, Broken Banjo Photography (www.brokenbanjo.net). Can we talk about regulatory hurdles that must be overcome when launching a DPO? A company can’t do a DPO without doing some compliance work. They have to undergo a registration process in every state in which they plan to raise funds. We had one client that filed in 16 states— but most of our clients do one to four. Most investors come from our clients’ own communities or have some kind of connection with them. Once you get the okay from the state you have the real work ahead of marketing. However, DPOs can be marketed in whatever way the company wants such as with events, press releases, websites, social media, email blasts, etc. Does every state regulate DPOs the same way? No. We have done DPOs in about thirteen states and each is somewhat different. Generally we find the state regulators to be reasonable. We think that having to go through the state registration process is ultimately a good thing because the state regulators try to ensure that investors know everything they need to know before making an investment decision. Why not just do a regular IPO if the DPO regulatory process is so rigorous? It is much harder to do a Federal registration. The SEC wants more detail and will require audited financials. Now with Sarbanes Oxley, the cost to do an IPA can be $400,000-500,000 or more. Generally speaking DPO fees are in the neighborhood of $25,000, more or less, depending on how many states the DPO is registered in or the complications of the security. Some states don’t require audited financials but even those that do are flexible and sometimes waive the requirement. Some states require ongoing reporting and others don’t. But it is a fairly simply process and it is nothing like the quarterly reporting required by the SEC for public companies. Our clients haven’t done DPOs that have gone over a million but we have seen some that have, for example, Mosaic is offering $100 million in notes. There is no reason the fees have to be larger for larger offerings because the compliance process is generally the same. What Are your Expectations of the CROWDFUND Act? The CROWDFUND Act was passed in April 2012 but it has not gone into effect yet. In the summer of 2010 my nonprofit Sustainable Economies Law Center wrote a letter to the SEC asking for a federal exemption for very small offerings. If someone is investing $100 maximum, we asked, shouldn’t there be an exception? The SEC never responded but word got out about the idea to make that exception and it ended up resulting in legislation. However, what passed was different from what we had proposed. The legislation requires the SEC to do detailed rule-making so it remains to be seen whether this exemption will be useful once it goes into effect. A lot of opportunistic activity has been unleashed in anticipation of the act going into effect. There are crowd funding cruises, boot camps, and books being written about it. But we are staying agnostic on it for the time being. In September 2013, Capital Institute released its fifth Field Guide study, “Evergreen Direct Investing: Co-Creating the Regenerative Economy,” exploring a new investment architecture purpose built to provide large stewardship investors, notably pension plan sponsors, with an opportunity to partner with values-aligned enterprise leaders through a cash-flow-sharing investment model.